There are only four species of Cedar and although quite similar C. libani - first introduced to Britain around the mid 1600's - is just about the finest of them. Few trees can rival its majestic grandeur, perhaps why it is seen so often as a specimen planted around our most regarded stately homes and parklands. 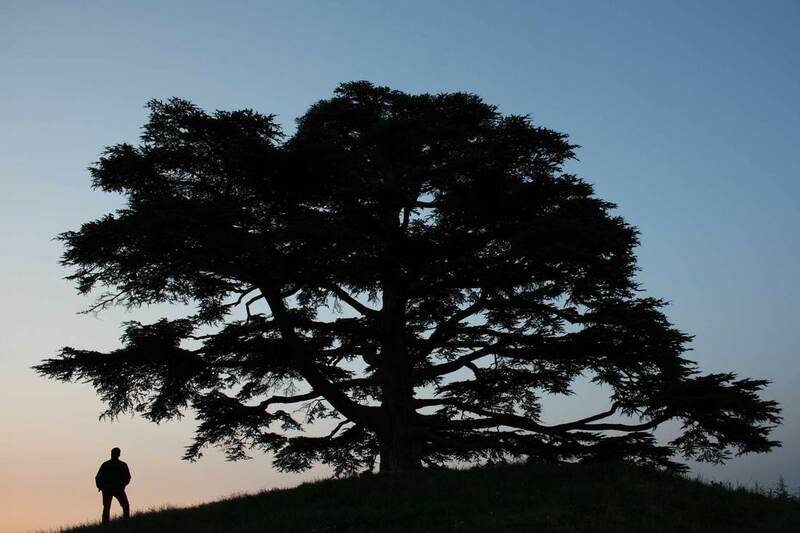 The Cedar of Lebanon is a tree of great historical importance, used by the ancient Egyptians for mummification as well having numerous scriptural associations. Planting any cedar is a long term investment and often the choice of those wishing to leave a lasting memory for future generations to come. Cedrus libani - whilst conical when young - forms a large elegant spreading flat topped tree with spectacular tiered branches. The evergreen grey/green needle like leaves spiral around brown shoots and both male and female cones are produced. If you have the space and a vision for the future then C. libani makes an excellent choice. Its an excellent performer on most soils but does not enjoy wet ground. Fully hardy.